Even though the word for paper comes from papyros, Ancient Greek for the Cyperus papyrus plant, the invention of the paper industry is most often credited to a Chinese court official, Ts’ai Lun, in 105 AD. Now all these many centuries later, we still have a deep and abiding connection with paper. Even before we make it to work in the morning, most of us have already had numerous close encounters with paper of various kinds from toilet rolls to facial tissues; milk cartons to cereal containers. And despite the digital revolution, more than a few of us still wake up to the pleasures of a morning newspaper delivered to the doorstep. Traditionally, paper has also been the primary tool of social workers, teachers and many other human service workers since record keeping and the rise of community support professions began. Many of you will remember with great fondness Innovative Resources’ first foray into paper tools in the form of the Scaling Pads. These were a simple set of pads with tear-off sheets. On each pad was an image—or visual metaphor—that could be used for measuring change in various ways. The images included a temperature gauge, a ladder and a pathway. How simple and how useful these paper tools proved to be, and we are delighted to say that they are still available today in digital format. Simply print them out and you have the same versatile paper sheets at your disposal (sustainable recycling recommended, of course). 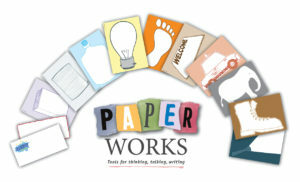 PaperWorks builds on this rich tradition of paper tools. PaperWorks is a set of 12 masters featuring simple line drawings of objects we can all recognise very easily. 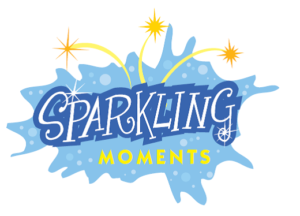 These objects work as ‘visual metaphors’; they are designed to inspire meaningful conversations in a range of settings including counselling, education, team building, story-telling, organisational development, supervision, creative writing and more. Each image includes space for writing, doodling, painting or colouring. The back of each sheet features three questions that are relevant to the image and can be used to initiate conversations. Of course, there are countless other questions that might be asked in relation to the image, according to the creativity and imagination of the user. Because the PaperWorks masters can be photocopied or the PDF masters printed out as often as required, these tools are designed to be used and owned by the people we work with. They can take their sheets home, use them as journaling tools, stick them on the fridge, post them on noticeboards, send them as a card, and when the time comes, place them in the recycling bin. In this complicated world, what a delight to enter the world of simple paper tools that you can purchase as PDF downloads or as a hard copy set of masters. And don’t be fooled by their simplicity; you may just find PaperWorks to be among the most effective, creative, and versatile tools in your kitbag of resources. Copy them, layer them, collage them, form them into a book, paste them on walls, use them as practice notes, make your own comic, send them to someone you know—it’s up to you and the people you work with. Because people can take the sheets away with them, these tools can work as powerful reminders of the conversation you had together, and of their own thoughts, plans and feelings. In this way PaperWorks can become tangible ‘artifacts’ that transfer power to where it belongs. Surround yourself with PaperWorks and help create a new, safe and exciting work space that expresses best practice in ac tion.